Son of top Hamas leader to produce epic historical account of the prophet Muhammad despite controversy surrounding Anti-Islam film. 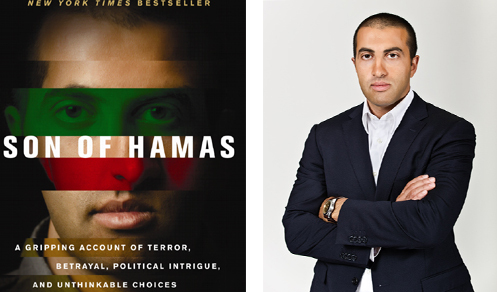 Mosab Hassan Yousef, author of the NY Times bestseller Son of Hamas, condemns the film Innocence of Muslims, on one hand, and the ignition of violent protests throughout the Arab world, on the other. Unlike convicted felon Nakoula Bassely Nakoula, aka Sam Bacile, the man behind the film Innocence of Muslims, Yousef was born a Muslim, the grandson of an Imam, and the son of an Imam who also founded the Islamic terrorist organization Hamas. Yousef is now casting the film and promises that it will be at par with some of the most respected Historical movies produced in Hollywood and around the world. This entry was posted in Mohammad, Muslim, Qur'an, sharia law, terrorism and tagged HAMAS, Hollywood, Innocence of Muslims, Islam, Mohammad, Mosab, MUHAMMAD, Nakoula Bassely, Qur'an, SON OF HAMAS. Bookmark the permalink.